What’s So Special About Microscopes? How does Night Vision Work? How does Stealth Technology Work? How does a Rangefinder Work? What is the Best Camouflage Pattern? What’s the Best Bond Movie? Facilitate your personal and professional responsibilities by choosing the perfect hidden tracking device for cars. We recommend 5 of the very best. When we think of secret tracking devices, the first thing that springs to mind are our favorite TV detectives securing them under the car of the season’s bad guy. While it is true that the main purpose of these inconspicuous tracking devices is reserved for law enforcement agencies and private investigators who have obtained the appropriate warrants, the general public has caught on to the advantages of hidden GPS trackers too. Picture this: a customer is desperately trying to get in touch with your company’s delivery team, but you cannot reach them. The matter is urgent, possibly costly and your customer is starting to get impatient. While you may not be able to establish direct contact between the delivery team and the customer, you can offer information on their whereabouts, provided your company’s delivery van is fitted with a GPS tracker. Hidden tracking devices for cars aren’t just attractive to large companies however, they can work wonders for us all. The fact is a car is an expensive luxury. A tracker like this means you always know where it's located, even if it has been stolen. We have compiled a list of the top five GPS trackers with various exciting features at surprisingly affordable prices. If you’re looking to make your life easier by purchasing one of these gems for yourself, check out our suggestions to help you make an informed decision. See how the top hidden GPS trackers for cars compare in the table below. Geofencing: this is where the user can identify an area. When the tracker breaches the perimeter the user can be alerted. SOS button: when the person being tracked is in distress they can hit this button to alert people using the tracking app. In this section, we take a closer look at our recommended models. Find out what makes them deserving of a place on this list. Voted “Best Spy Shop” by Time Out New York, Spy Tec prides itself in high quality, state-of-the-art surveillance gear for professionals and the common layman. With more than ten years of experience, the company recognizes the importance of providing top-of-the-line equipment at economic prices. 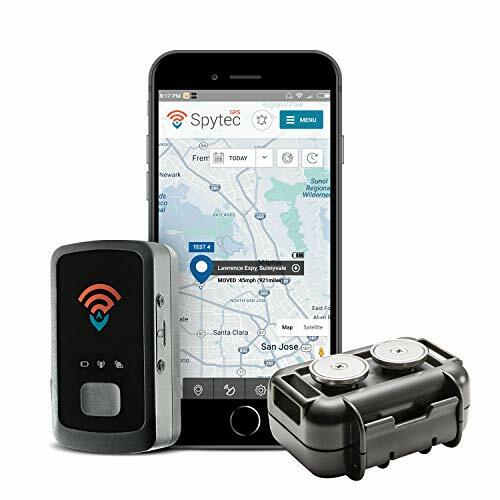 The Spy Tec STI GL300 real time personal and vehicle GPS tracker has quickly established itself as a highly popular item thanks to its easy installation process and reliability. At just two ounces and three inches in length, the STI GL300 is inconspicuous and can be secured to vehicles, as well as people and clothing items. With a battery life of two weeks and longer, you won’t have to worry about frequent recharging and can simply sit back and let the device do its job. It can also be hardwired to the car's battery using an additional extra kit. Whether you’re trying to keep tabs on your spouse in the throes of a marital crisis or are just looking to keep track of an elderly family member with the onset of dementia, the STI GL300 will help put your mind at rest. The STI GL300 can be placed under the driver or passenger seat, or clipped onto a belt holder with absolute ease. Should you want to secure the device on the car’s exterior, it is advised to purchase it in combination with the SpyTec’s Waterproof Magnetic Case for optimum safety and longevity. The standard tracker becomes a durable magnetic GPS tracker in no time. Once attached the device will track and map the location of your vehicle in real time, sending you text or email updates whenever the subject moves out of a user-created geofencing zone. You have the option to export report data and save it directly on to your computer or phone for further investigation. You can even disguise the Spy Tec app on your phone by making it look like a regular icon for further discretion. To activate your tracking device, all you need to do is visit the Spy Tec website to submit your GPS activation form and you’re good to go. The STI GL300 is also configured with an international roaming feature which enables you to use the device anywhere in the world, without extra costs. With no extra activation or cancellation fees, you can make use of the STI GL300 whenever and for however long you want. Once the device has served its purpose, your cancellation will be processed free of charge in a matter of twenty-four hours. At only $25 a month, this hidden GPS tracking device for cars offers top service at an affordable price. Oh wait! We didn't mention the lifetime warranty did we? Final Verdict: The STI GL300 is an awesome GPS tracking device for use with or without cars. The app and interface are excellent and make this one of the most intuitive devices of its kind on the market. Thumbs up from StealthyNinjas.com! LandAirSea Systems Inc. have been providing fleet management services, law enforcement agencies and individual consumers with avant-garde GPS tracking surveillance technology since 1994. Specializing in both historical and real-time surveillance technology, the Greater Chicago-based company can offer the right equipment to meet your specific needs. 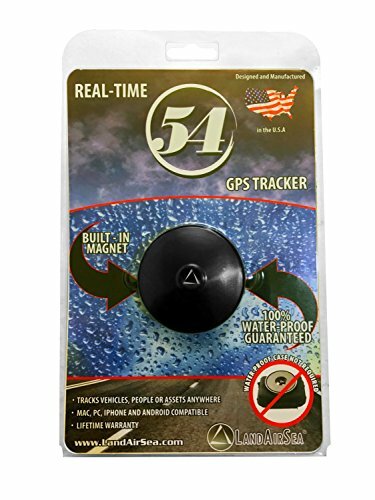 Developed and manufactured in the USA, the LandAirSea 54 real time GPS tracker will allow you to keep your cool the next time your teenage son misses his curfew. Providing real-time location updates as often as every three seconds, you’ll be able to keep track of your teen’s whereabouts even if he’s cruising around the neighborhood at a higher speed than he should! 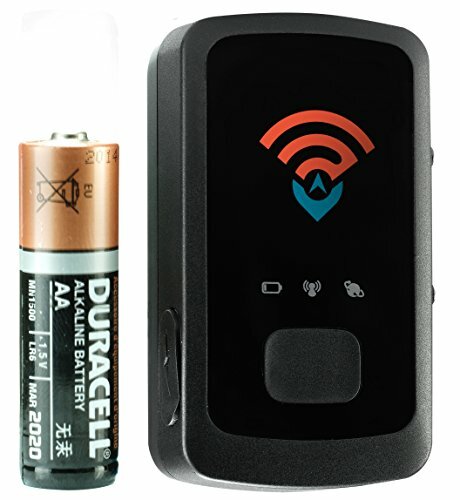 The LandAirSea 54 GPS tracker is highly energy efficient due to its built-in accelerometer. By automatically detecting motion, the device will know to turn itself off when not in use. The set-up is also extremely easy – you’ll be able to use your LandAirSea 54 within just a few minutes of having received it. Linked to an app on your phone, this magnetic GPS tracker allows you to review the vehicle’s route history which has proven extremely useful for fleet management, as it enables users to study driving patterns. Allowing you to play, pause and rewind however you see fit, the tracker’s review history feature has become a customer favorite, even for those who identify as technophobes – the app is so easy to set up! This GPS tracker does not require WiFi as it works via satellite. This feature has made it even more attractive to customers who may be operating their device in remote locations without WiFi access. On top of that, the LandAirSea 54 is extremely weather resistant and can hold its own even in the dampest, coldest climates. This device has been designed to enhance the lives of many a customer with small children or elderly family members. Its geofencing feature allows you to lock certain areas, such as the perimeters of your home and garden, or a school route. The LandAirSea 54 GPS tracker will alert you the second the subject moves outside of these locked perimeters, allowing you to act immediately. For those who care for the elderly, specifically seniors prone to disorientation or adventurous walkabouts without notifying their caregivers, these features can make a major difference to daily life and routines. It will decrease anxiety levels immensely knowing that you are always one click away from tracking your loved ones in case they get lost. The standard plan offers sixty-second tracking updates at only $24.95 a month and there are faster rates available depending on your needs. Whether the sixty second update plan is sufficient for you is entirely dependent on your purpose of use - however, based on reviews and feedback, customers are more than satisfied with the standard plan. There's also the small matter of a lifetime warranty. Final Verdict: The built-in accelerometer makes the LandAirSea 54 energy-efficient, hence it would work well for commercial use. It's an excellent choice for those worried about the elements. With headquarters in the United States, Mexico and Columbia, Americaloc offers innovative high-tech solutions for all your tracking needs. Staffed with a multi-disciplinary team, Americaloc offers its technology to companies as well as individuals and is always one phone call away should you need to use their outstanding customer service team. Americaloc’s products enable you to stay on top of your business and/or personal assets in real time. If you’re looking for a compact hidden GPS tracker for car or truck fleets, the Americaloc 300 may well be the answer. Easy to activate, carry and manage, this tracking device has a battery life of up to two weeks and can be hard-wired to the vehicle if necessary. You can opt to download an app or track your vehicle from the comfort of any computer, tablet or phone from almost anywhere in the world. The 300 Mini system will enable you to record up to one year of tracking history with one-minute location updates while the vehicle is on the move. These reports will detail speed, geofences and mobile network connection or disconnection for easy review. Upon purchasing the Americaloc 300’s standard sixty-second plan at $25 a month, you will receive two months free-of-charge as a token of gratitude from the company. If you decide to switch to faster updates of thirty- or even 10-seconds, you will be able to do so free of additional charge. The built-in movement detector will adapt its reporting frequency depending on motion to maintain battery life, so no need to worry if you do opt for the ten-second updates. Using an ultra-strong magnetic case, the Americaloc GL300W can be securely fastened to the underside of the car, which works out rather nicely if you’ve currently got your PI cap on and don’t wish to alert the tracked subject. This is the ideal gadget for stealth operations that could ultimately benefit your company or personal relationships. This 300 Mini is the updated 2G version which uses newer technology and offers extended coverage. One of its features that has proven particularly beneficial – especially for customers using the device as a means to track their loved ones – is the panic button. While it does not directly alert law enforcement services, the panic option will send the updated itinerary to the tracker, allowing them to give emergency services detailed location information. This system allows you to create up to a hundred different zones (geofences) that you can assign to your device. As soon as movement is detected in any of the zones, such as a child entering or leaving school or a vehicle veering from its usual route, you will be notified by text or email immediately. Should you require any help installing or updating your system, Americaloc’s support team is more than happy to be of assistance and will do their utmost to tailor their services to your needs. Final Verdict: Equipped with a panic button and offering you two months of free service, the updated Americaloc 300 model comes with many unique features at an affordable price. Recommended Reading: Worried your car is being illegally tracked? Don't miss our guide to GPS bug detectors! This neat little bundle by Optimus Tracker comes with the 2.0 Optimus GPS Tracker and a twin magnet case, making this an attractive deal for anyone who is looking to receive all their tracking necessities in one package. With ten years of experience in offering tracking solutions, Optimus Tracker places great importance in offering their customers a stellar service and continuously updated products. The Optimus magnetic case is a prime example of the company’s dedication to developing the best possible devices. Made with neodymium magnets, this is the strongest type of case available on the market and it comes with not just one but two magnets that will ensure your hidden GPS tracker for car routes will stay secured even if you decide to go on a car rally race through the bumpy backroads of Mexico. At only $19.95, the Optimus 2.0 GPS Tracker’s customizable updating service is the most economic on this list so far and involves no hidden fees. Cancelation and upgrades will not require an extra charge and the SIM card, FCC and PTCRB are all included in the data plan. One of the most exciting aspects of this clever little device however, is its app. Customers of all ages have found that the app is extremely simple and comfortable to use. Even someone with limited technology experience will be able to set up the app without breaking into a sweat. Available for iPhone and Android, the straight-forward program will allow you to create alerts, driving reports and geofencing zones with minimal hassle. The Optimus 2.0 has helped many a customer prevent theft by ways of securing the magnetic case to their vehicles or personal assets. Construction companies looking to keep their industrial vehicles and equipment safe while they are stored on sites turn to the Optimus Tracker and never look back. Keeping tabs on valuable tools and equipment can prove very beneficial to companies, not just as a means to decrease stress levels and extra manpower, but by saving thousands in possible damage or theft. For companies who use several tracking devices for fleet management or to ensure their employees are not using work hours for personal chores, Optimus will offer a customized rate. If you are operating three or more devices at a time, your monthly rate will be dropped to $15 – as you can see, this deal will be well worth your while. Final Verdict: Most companies require you to purchase the GPS magnet case separately, which makes this 2.0 bundle with twin magnet case by Optimus extremely attractive. On top of that, the app is incredibly simple to use. When it comes to parenting, there are many milestones we look forward to: our child’s first word, first steps, first day of school and once they hit their teens, their first driving lesson. As exciting as it may be to see your little girl drive off in her own car for the first time, this new phase in her life might bring a whole new sense of anxiety to yours! 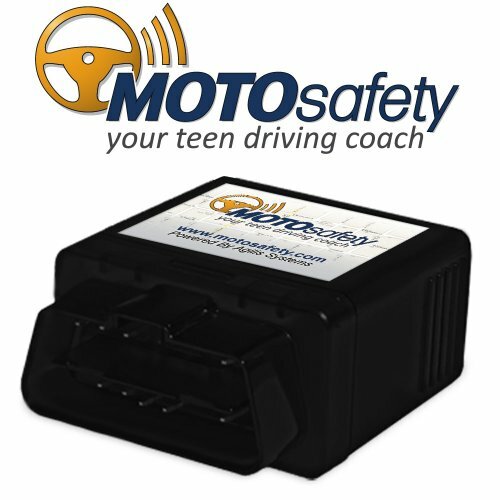 If you want to rest assured that your teen is practicing safe driving habits, the MOTOsafety OBD GPS tracker device will help you sleep better at night. By simply plugging the tracker into the OBDII port under your teen’s dash, it will continue your teen’s driving education by generating report cards based on habits such as harsh braking, rapid acceleration and speeding. This vital information will help you understand where your kid’s driving habits show room for improvement without having to risk a nervous breakdown by coaching them from the passenger seat. The daily driver report cards that will be sent directly to your app will keep score of your teen’s driving abilities and can even help you get an attractive discount on insurance rates – provided your daughter isn’t racing through town like Michael Schumacher in his heyday. The MOTOsafety OBD GPS tracker also offers a comprehensive driving course program that can be used for practice classes, or to boost confidence in new drivers. If you’re worried your teen might drive into the night without your knowledge, you can set curfew hours. As soon as the engine roars up in anticipation of sneaking out to the nearest Justin Bieber concert, you will receive a notification that will enable you to douse the Bieber-fever as quickly as it burnt up. Your teen probably isn’t the only one with worrying driving habits. Ever allowed your grandpa to drive you down to the local bar? If the experience left you terrified, grandpa might benefit from the OBD GPS tracker’s senior driving coach. Yes, you guessed right – next to teens, seniors are the second-most insecure drivers on the road. Why not let the OBD GPS device boost their confidence with great coaching techniques? With the MOTOsafety hidden GPS tracking device, you no longer need to worry about Grandpa Joe driving himself to his Friday night Bingo club. The GPS system will keep you posted on his whereabouts and well-being and will alert you of any unusual route changes or events. Don’t let grandpa’s stubbornness get in the way of his own safety – simply secure the stealth OBD GPS on his car or mobility scooter. What he doesn’t know can’t hurt his pride! Final Verdict: The MOTOsafety OBD GPS tracker comes with many exciting features that will facilitate your parenting and caregiving responsibilities immensely, making it the top choice on our list. Upon learning more about the many advantages of using hidden GPS trackers for cars, it’s safe to say that they have opened a whole new world of possibilities for companies and individuals alike. Through state-of-the-art apps and innovative features such as the creation of geofencing zones, driving coaches and panic buttons, these devices have been able to enhance the lives of many, including parents, transport and taxi companies and caregivers. It's hard to recommend a single model without knowing your exact purpose of use. So, we've narrowed it down to two models that each have a different speciality. While each GPS tracking system on our list has its own strong points, we are particularly taken by the MOTOsafety OBD GPS tracker thanks to its advanced features and affordability. With its own driving coach programs, score card reports and curfew setting, this device offers a whole host of solutions, especially for parents and caregivers for the elderly. These are all extremely important features that have helped put the minds of many families at ease and for that alone, it deserves to rank in first place. As people who take care of the elderly are very well aware, one of the most difficult aspects of ageing is feeling a lack of independence. It is vital for the elderly to feel they still have control over their own lives and are not treated like children. This is where hidden tracking devices come in particularly handy, as they allow caregivers to keep track of their clients’ or family member’s daily mobility scooter outings, without jeopardizing their feeling of independence. The MOTOsafety OBD GPS recognizes this and makes it easier for caregivers to do their job without hurting their clients’ or family members’ pride. Our ultimate package is the Spy Tec STI GL300 that comes with a magnet case as part of the package. 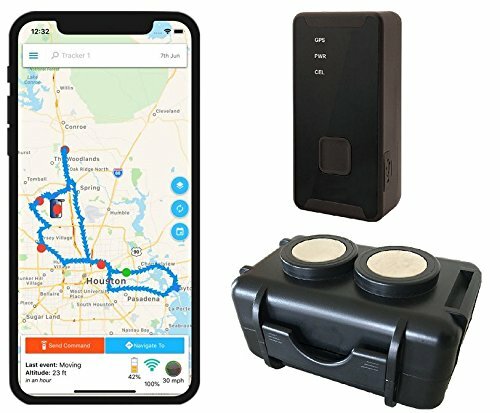 While many other GPS tracking companies sell the magnetic case separately, the GL300 comes in an attractive bundle which works out cheaper than buying two products separately. On top of that, the app has been developed in such a manner that it is accessible even to those who have minimal experience with technology. The case is highly durable and easy to secure. This extreme strength will come in particularly handy on bumpy terrains or during extreme temperatures. 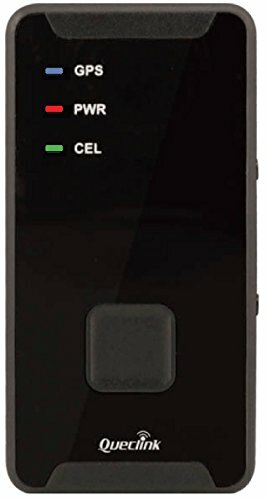 Offering great price deals that will save you costs in the long run, this device is an attractive choice for large companies looking to employ the Spy Tec STI GL300 for fleet management. Deciding on the ideal GPS tracker to meet your requirements can be a tricky feat when you are unfamiliar with all the technical mumbo-jumbo stated in the product descriptions. Not to worry – we’re here to help! We’ve compiled a list of pointers you should take into consideration upon purchasing your very own tracking device and hope this will make your research process easier on you. If your main thought behind acquiring a GPS tracking system is tied to personal reasons, such as facilitating the care of a parent or grandparent suffering from Alzheimer’s, you won’t be needing avant-garde fleet management programs or international roaming features. Stick to your necessities to avoid getting overwhelmed with extra features that may just bog down your learning process. Tracking systems with an emphasis on family caregiving will state their use within their descriptions, so be sure to stick with these as you conduct your research. Alternatively, if you’re looking to deck out your company cars with hidden GPS tracking devices for fleet management purposes and employee control, don’t let yourself get distracted by systems that focus on teen or senior driving coach programs and score cards. Look into systems that mention real time fleet management in their descriptions to ensure you find the right product for your need. As is true for any other product you might be looking to purchase, always read the fine print! Most GPS tracking systems come with standard sixty-second update alerts. Should this not suffice, you can always opt to upgrade your notification times to thirty- or ten-seconds. You’ll never know which notification intervals work best for you until you’ve tried it, so make sure there are no hidden upgrade costs involved should you decide to switch to shorter intervals. The same applies for cancellation costs. Depending on which purpose your GPS tracker is meant to serve, you may only wish to use it for a short period of time. Make sure that the cancellation of the system is free of charge to prevent any nasty surprises down the line. One of the most important aspects you should consider upon buying a GPS tracker – especially a hidden device – is battery life. If you will have to recharge the battery every couple of days, your GPS device will become a nuisance rather than a gadget that facilitates your life. This is especially true for those looking to use their devices in stealth operations – if you have to sneakily remove and reposition the tracker every few days, chances are you will soon start raising suspicions. Make sure you find a GPS tracker with a long battery life to guarantee easy and safe use. If you know for sure you will be using the GPS tracker on the car’s exterior, take some time to consider your daily routes and local climate. If you’re lucky enough to live in an area where the roads are smooth and free of potholes, you won’t have to worry about your GPS tracker’s magnetic box being ultra-powerful. If, however, you live off-grid, where tracks are washed away with the first rain and a trip down to the supermarket can feel like a bumper-car ride, you will need to be sure that the magnet box is the strongest you can possibly get. There are two kinds of people in this digital world: those who literally count down the days in anticipation of the new iPhone release, and those who’d rather go back to simpler pre-smartphone times. If you belong to the latter group, you should pay special attention to the GPS tracker’s apps to ensure it won’t be a cause for confused headaches. You want something that is simple, straight-forward and attractive to use without having to consult your teens every time you receive a new notification for fear of doing something wrong. The app is the most important feature behind tracking devices and where you’ll be spending most of your time, so make sure it offers a relaxed and fun user experience! It is also of utmost importance that you check whether the GPS system app is compatible with your type of phone – it would be a shame to purchase your first tracking system only to find you can’t link it to your phone. It’s always nice to get more than you’re paying for and it’s no different when it comes to GPS trackers. Some companies offer incredible all-encompassing features that you may have never even considered! A panic button? Why not?! A curfew alert? Try sneaking out in mom’s car again little Miss Teen Rebel! Super-duper-ultra-strong neodymium magnets for maximum hold? Yes, please! Tracking devices with unique features should become your top priority during your research. Even if you won’t be making use of them right away, it’s always great to have some interesting features to pull out of your back-pocket for possible future needs. You never know how your tracking needs might change over time – anticipate the change and roll with it. It’s Time to Venture Out on Your Own! Now that you have familiarized yourself with these top hidden tracking devices for cars on our list, we hope you will feel confident enough to venture out on your own in a quest to find the right GPS tracking device to match your needs. If you feel yourself getting stuck or confused by technical terms, feel free to ask a question in the comments section down below or send us a message over on the contact page. Let us know what you think down in the comments! © 2019 Stealthyninjas.com All rights reserved. Stealthyninjas.com is a participant in the Amazon Services LLC Associates Program, an affiliate advertising program designed to provide a means for website owners to earn advertising fees by advertising and linking to amazon.com, and any other website that may be affiliated with Amazon Service LLC Associates Program.